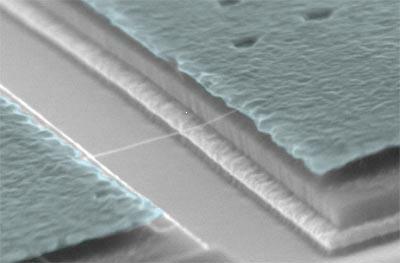 Researchers at TU Delft have succeeded in measuring the influence of a single electron on a vibrating carbon nanotube. This research can be important for work such as the development of ultra-small measuring instruments. The scientists have published their results on Thursday 23 July in (the online version of) the scientific journal Science.